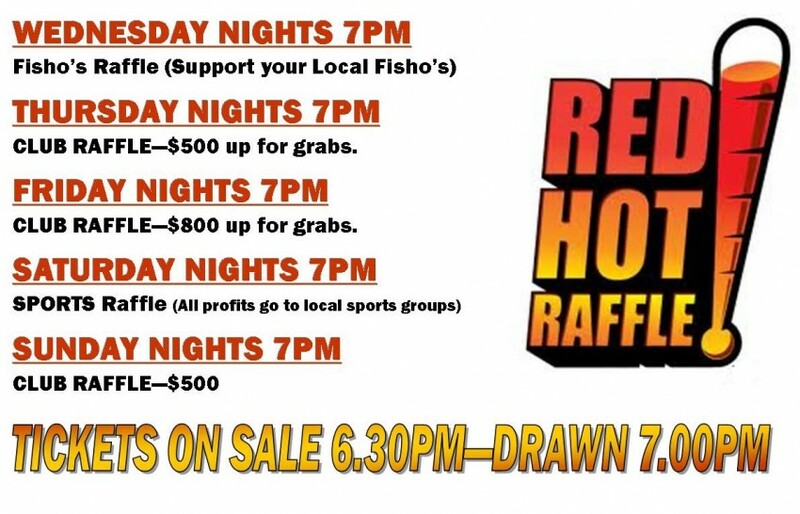 Raffles Wednesday through to Sunday. Last Sunday of every month is out MEGA RAFFLE. Check out the prizes in Club Reception each time you visit.